The bio of Launceston man Dr. William Fookes Thompson | Launceston Then! Dr. William ‘Willie’ Fookes Thompson. William or ‘Willie’ was born in 1859 To Dr. David and Elizabeth (nee Fookes daughter of the late Rev. William Fookes, MA. Oxen. JP. of Liskeard.) Thompson at St. Thomas New Road, Launceston. He was their only son but had three sisters. His father was the local GP and Coroner, being listed in the 1883 Kelley’s Directory for Launceston LRCP. Edin., physician and surgeon, medical officer & public vaccinator No 3 District, Launceston Union, Southgate St.. This surgery being located by the Southgate Arch which is now part of Hodgsons Accountants. Dr. David Thompson Was also and Alderman for the Borough of Launceston, a Mayor (1877-1878), a JP and also Honorary Surgeon to the Volunteers Battalion of the DCLI. William attended the Launceston Grammar School in St. Thomas Road under the headmaster Rev. Samuel Childs Clarke. William followed his father into the medical profession and like his father attended Edinburgh University where, in the 1881 census he is living as a lodger with a Mr. and Mrs. Campbell at No.23, Forrest Road, New Greyfriars, Edinburgh, Scotland. It is here that he took his M.B. in 1882. In 1884 he joined his father and Dr. Gibson as partners for Thompson, Thompson & Gibson, physicians & surgeons, Southgate Street, Launceston, being listed in the local 1889 directory as:William Fookes Thompson, MB, Edin. Physician & surgeon, medical officer & public vaccinator for the No. 2 District, Launceston Union. He qualified as an M.D. 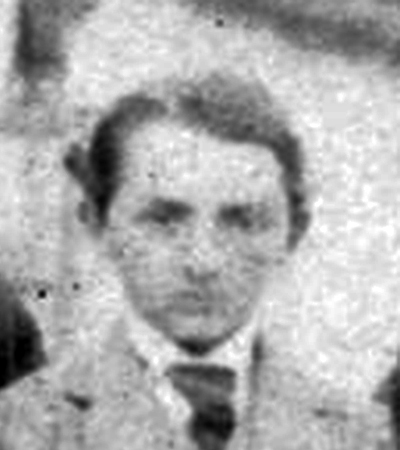 in 1901. In 1888 he married Harriet Graham daughter of Thomas Graham at East Preston, Sussex and they first set up home living next door to the surgery in Southgate Street, Launceston, but then moved to Riverside, St. Thomas. 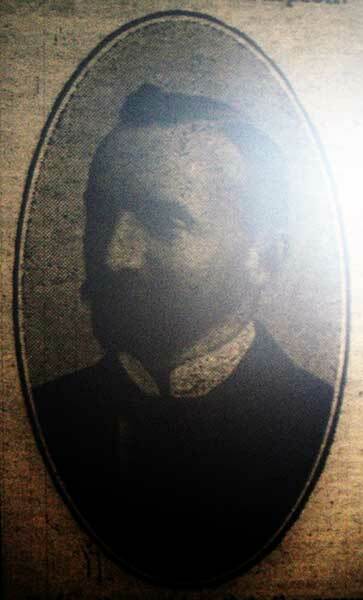 Their first child, David William was born in 1889 followed by another son Graham Sinclair in 1891 but he died soon after and was buried at St. Thomas Church on the 23rd of July 1891. With the birth of another daughter, Harriet Dorothy Margaret, in 1892, a larger residence for his family was desired so he employed a local architect, Otho B Peter, Esq. to design for himself a new residence in the Roydon Road, in the parish of St Stephens-by Launceston. TENDERS invited for the Erection of a Residence, Stable buildings, Boundary Walls, &c. on a site adjoining Roydon Road, St Stephens, for Dr W F Thompson. For Plans and Specifications apply to Mr Otho B Peter, architect, Northernhaye, Launceston. The advertisement is dated: 21 May, 1895. The property was duly built and named ‘Penquite’ (above) where in 1900 a son was born John Hill Graham. That very same year more tragedy befell the family when the eldest son David died and was buried at St. Stephens on the 23rd of February. In October of 1916, Dr William was appointed Mayor of Launceston, after becoming a Town Councillor in March, 1911, when he retired by rotation in 1913, such was his popularity that he was returned unopposed. As a devout Church of England supporter, Dr Thompson was a Lay-reader at St Stephens Church and was appointed Peoples Warden in 1916. At his father’s death in 1908 he was appointed County Coroner for the Launceston Division. His son John served during World War One joining with the Royal Field Artillery in August 1918 and was demobilised again in January 1919. He then followed in family footsteps and became a doctor subsequently travelling to Australia in 1925. He must then have returned to England, as he married Catherine Park in Uxbridge in 1940. They had 4 children, so they most probably have descendants alive today. During the war Dr Thompson rendered valuable service as chairman of the local recruiting committee, that sat in the days of Lord Derby’s appeal for volunteers. He and his wife Harriet were staunch supporters of the Voluntary Aid Detachment (VAD) during World War One which was a voluntary organisation providing field nursing services, mainly in hospitals in the UK. 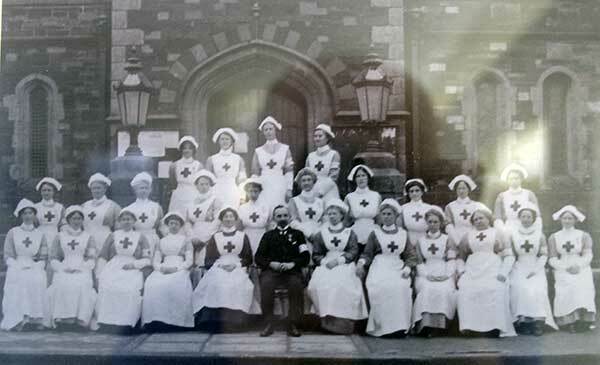 The local hospital was in the Town Hall for several years before being removed, by invitation, to Werrington Park (Dr. Willie poses with the VAD nurses outside the Town Hall in 1915 above). Their daughter Harriet even volunteered, with their blessing, as a field nurse a role that ultimately cost her, her life as she contacted TB from one of the soldiers she was nursing in Brighton and died in 1919 at home. She is commemorated on Launceston’s war memorial. William undertook many roles within the town including being the Police Surgeon, hon. Member of the Ancient Order of Foresters and of the Oddfellow’s societies. In 1903 he was elected president of the South-Western branch of the British Medical Association, and was later a vice president. Outside of his profession he had been the chairman of the Launceston Gas Company. In politics he was a Unionist and had been chairman of the Northern Division Unionist Association. William Passed away on the 5th of May 1932 and after a service conducted by Rev. W. W. Bickford and Rev/ J. F. Forth at St. Stephens Church he was interred at St. Stephens Church. His wife Harriet passed shortly after on the 12th of October she to was layed to rest at St. Stephens church alongside William.